Nannies working under sham contracts? Now more than ever before it’s important to recognise the difference between an employee and a contractor with both the ATO and Fair Work Australia targeting the employment relationship and sham contracts. A sham contract refers to the situation where an employer hires an employee through an independent contracting arrangement, instead of engaging the worker as an employee. My nanny has resigned with a negative annual leave balance? 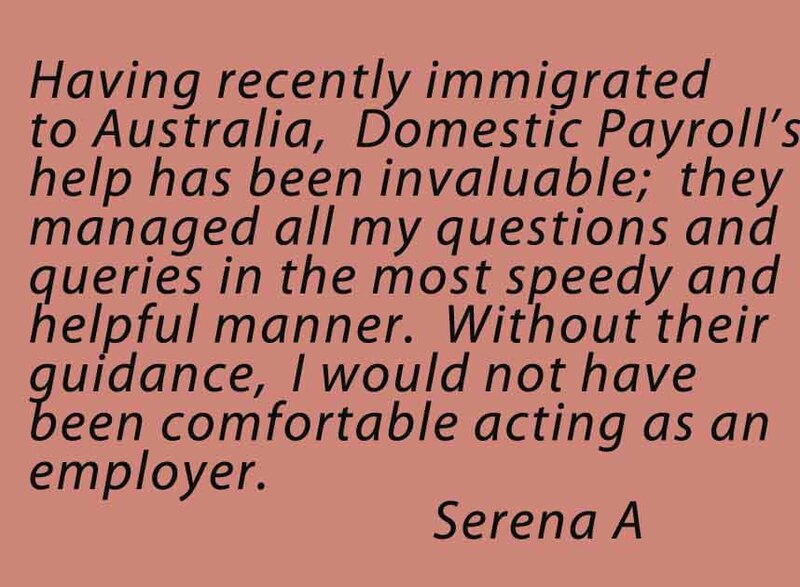 When you hire a full or part time permanent nanny or au pair, they should be accruing annual leave, accruing at a base rate of pay on the ordinary hours. For a full time employee its a 4 weeks annual leave entitlement for each 12 months of service, for a part time nanny, annual leave is calculated on a pro rata basis. 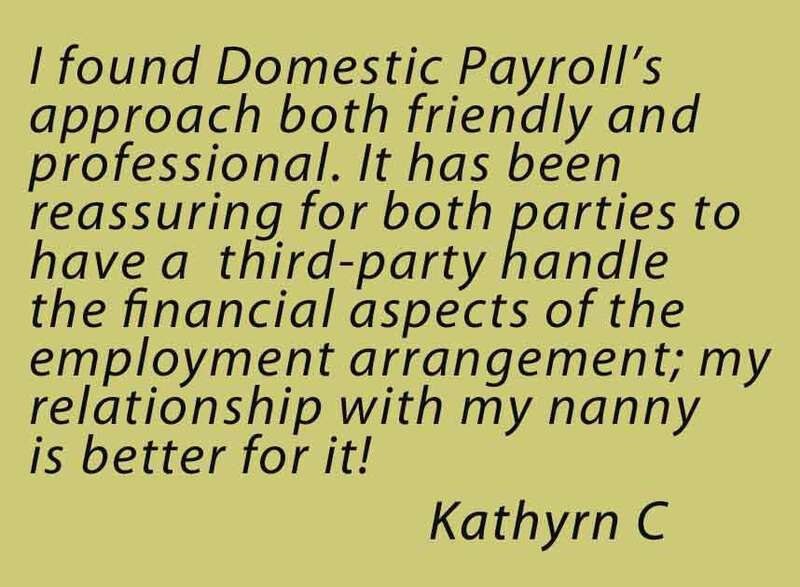 Employment contracts for nannies: Many nanny employers tend to view a written work agreement as a document that offers benefits and protection primarily to the nanny when in fact; the document offers legal protection to the parents, as the employer and should offer a clear guideline of expectations and requirements when looking after your children. For nannies paid on salaries the federal governments National Employment Standards, sets the maximum hours an employee can work in a week; this is 38 hours for a full time employee. An employer can’t ask or tell an employee to work more than this, unless the extra hours required are reasonable, which is why most nannies and au pairs are paid on an hourly rate. Recently I have started working full time from home and as a direct correlation my participation in Facebook has increased. 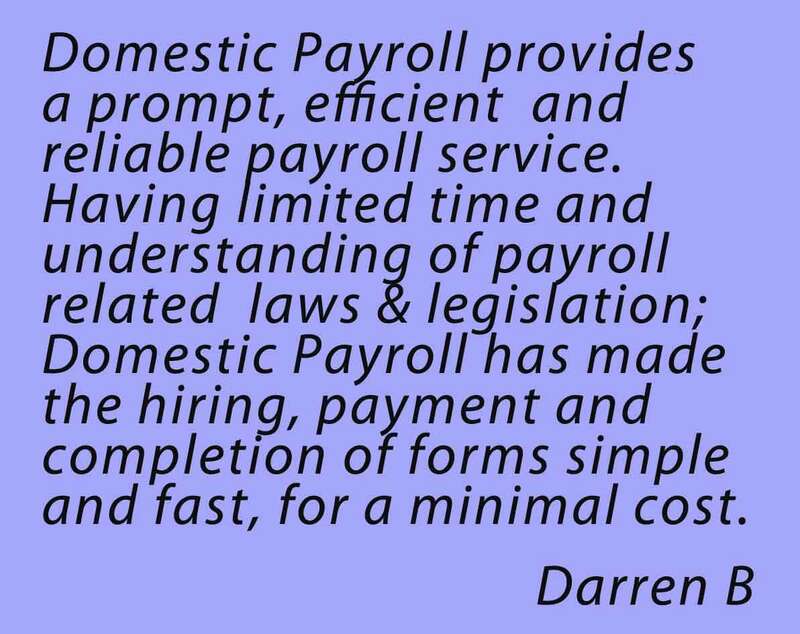 It’s such a great distraction and sadly I’m not updating the Domestic Payroll page but my personal page. I find my business Facebook page so much harder to write. For businesses social networking has become such a mind field of saying the wrong thing and for employers and employees, a new level of complexity has arisen, requiring even more internal policy and procedures. Paying salaries to a nanny can be an expensive option, there is some assistance available through the Child Care Benefit. The Australian federal government offers two main arms of support in the cost of child care, the Child Care Rebate and the Child Care Benefit. The Child Care Rebate is mainly available to children attending child care centres. Last week I kept reading on the web, how it was okay to pay your nanny as a contractor if they work less than 30 hours a week. I really don’t believe that this is the case. There are a lot of good sites outlining interview questions and tips for hiring a nanny. Below is some additional compliance issues to keep in mind. You are required by law to provide worker’s compensation for your employee, including nannies in the home. Whilst a national system is coming into place, each state and territory will maintain their own departments. Nannies in the home are exempt from super if they work less than 30 hours a week, the moment they work 30 hours or more superannuation should be paid. Please note if you are paying your nanny as a contractor instead of an employee, you are still obligated to pay superannuation once your nanny works over the 30 hour mark. The ATO website has further information on the this area.